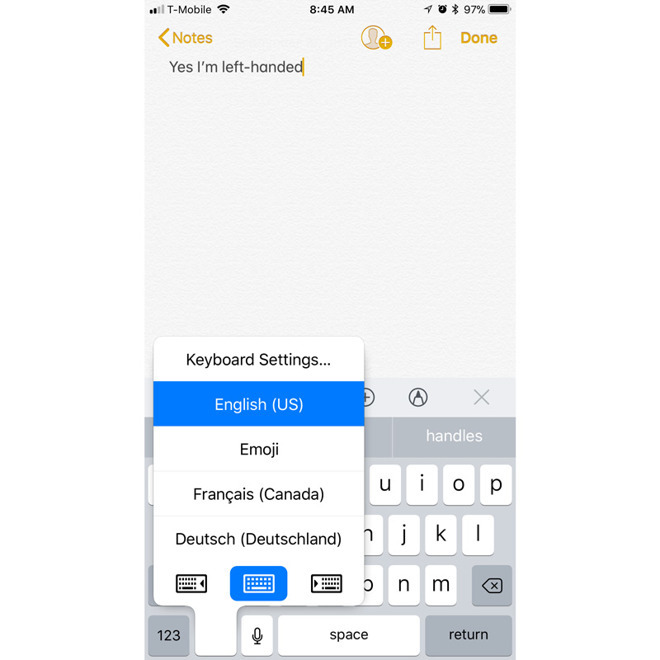 Although most recent iPhones aren't as friendly to one-handed users as the iPhone SE, Apple's new iOS 11 does offer a special one-handed keyboard that compresses buttons into one corner of the screen. Here's how to use it. For most people, the simplest option is likely just turning it on while the regular keyboard is visible. Long-press on a globe icon at the bottom, and options should appear to shift the keyboard to the left, to the right, or return to full size. 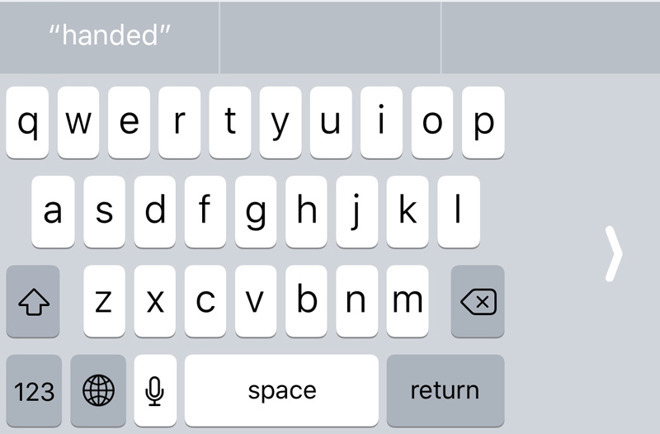 Note that it's also possible to return the full-size keyboard at any time by tapping a white arrow in the unused gray space. The globe option requires that multiple keyboards already be added through the Settings app's General > Keyboards menu. 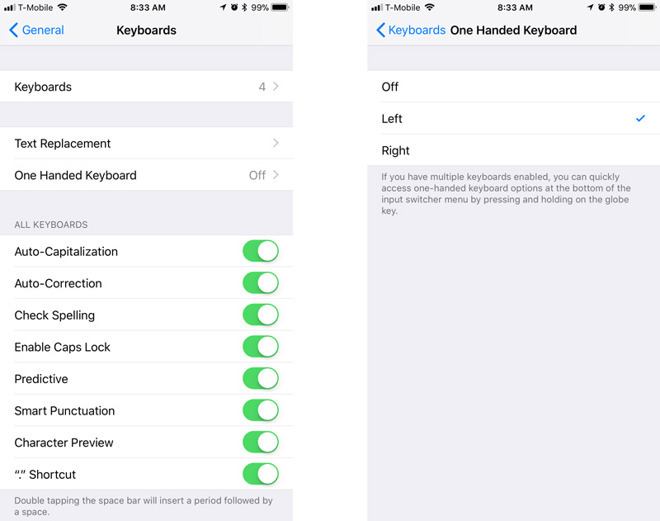 That same menu includes a dedicated "One Handed Keyboard" section, however, where people can skip extra keyboards to pick the alignment they want —the only catch being that without more keyboards, returning to Settings may be mandatory. 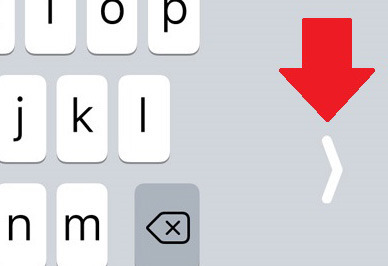 On Plus-sized iPhones, rotating into landscape mode will temporarily bring back a full-sized keyboard. The iOS 11 one-handed keyboard is available on all 4.7- and 5.5-inch phones, and presumably will also work on the new iPhone X. The software update is available to the public now.